It’s always particularly satisfying when you achieve something that knowledgeable and influential people told you that you couldn’t accomplish. For me recently this was writing and finding a publisher for a children’s book – middle-grade level, to be precise. You see, I’ve been an authentic sci-fi horror author since 2007 when my debut novel, “Vespa,” was published by a small press based in Philadelphia. Since that time, I have also witnessed my shocking, soul-searching sci-fi satire, “Space Games,” go to press as well, and in the wake of these two accomplishments, I felt I needed a break from all the horror and adult content. I had been looking into the abyss, as Nietzsche once said, for too long and the abyss was starting to stare back. In addition, readers and peers were wondering if I was this horrible person because my fiction made them feel terribly uncomfortable. Some began judging and measuring my works … after reading them in their entirety, mind you … based on their horrified reaction instead of the quality of each book, which to me is not fair. Ernest Hemingway, arguably the greatest American author who ever lived, wrote in a letter to his parents: “…a writer should not be forced to defend his choice of a subject but should be criticized on how he has treated that subject.” Ahh, never mind that, that’s over. So I set out to write something sweet for a change, something for my wife and kids and dearly departed mother, something that didn’t have to come with a warning label and draw such anger and revulsion from readers who couldn’t handle it. I had a large number of people test-drive this middle-grade novel and two of the most influential of them told me coldly that it was NOT going to fly for a number of reasons. First, because I was a horror writer and I wasn’t working in “their” genre. Second, because the stories they wrote for teens and middle schoolers never contained as much tension and conflict as the new book I’d written. “Go and read some of the wonderful stuff that’s available to these ages,” one of them told me. And I did and I was horrified by how poorly these novels stacked up against the young person’s literature I grew up on—stuff like the works of Mark Twain and Scott O’Dell and John Steinbeck. It’s a different way of writing sure, but I get it and I won’t talk down to them or try to protect them from the key elements of every good story: characters, conflict (toned down a bit) and rhythm. Anyway, I’ll soon join the ranks of authors/storytellers who write for both adults and children. In here at the top echelon are Stephen King, JK Rowling, James Patterson, Neil Gaiman, vicious Clive Barker, and even pulp director Robert Rodriguez, the latter who brought us the R-rated From Dusk Till Dawn but whom also delighted our kiddies with the Spy Kids series. It can be done! 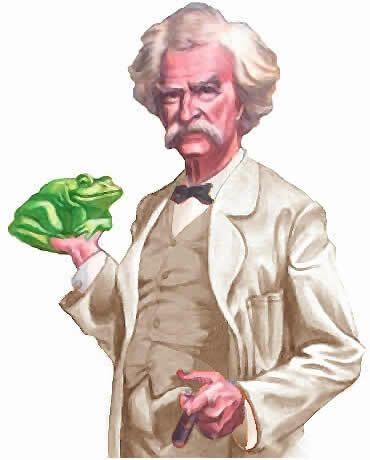 And of course there’s Samuel Clemens, aka Mark Twain, whom I can definitely cite as an influence for my new middle grade novel. I remember the power of his yarn and pronounced dialect as it came alive while reading The Celebrated Jumping Frog of Calaveras County in middle school (even, just re-familiarizing myself with the title brings a smile). Whether you’re in middle school or older I hope you will enjoy my own yarn when it comes out in late 2014/early 2015. Be on the lookout. It’s called “Donkey Sense” and it’s suitable fun not just for middle graders but for all ages. The one’s for you, Mom, and for you too Mark. 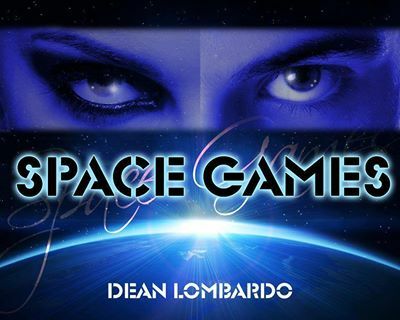 Northern Virginia, April 3, 2014 – The cameras are on and the gloves are off in this battle of the sexes in space. Space Games (Kristell Ink) is a powerful new take on our society’s addiction to the Internet, games, and our obsession with celebrities and fame. Author Dean Lombardo presents this raw, hard-hitting and totally engaging topic in a style compared to filmmakers Quentin Tarantino, Oliver Stone and Robert Rodriguez. Say hello to Robin and Joe, contestants in 2034’s “Space Games,” a new, high-stakes reality TV show set aboard a next-generation space station, ISS 2. Overcome by the physical and psychological strains of ‘space,’ the two contestants quickly abandon the show’s sanctioned events to engage in a lawless game of kill-or-be-killed as millions watch helplessly from Earth. With the station orbiting 220 miles above Earth, rescue by shuttle two days away, the reality show rapidly de-evolves into a horrifying study of primal man versus woman, squaring off in a deadly, live spectacle. It’s the first novel to tackle the idea of a reality TV show/TV game show in space, namely, aboard a cramped, claustrophobic space station. As with the filmmakers mentioned above, some scenes of graphic violence are not for the faint of heart. Born in Norwalk, CT in 1968, and now residing in northern Virginia, Dean Lombardo has a Bachelor of Arts degree in Journalism and a natural curiosity about the universe and the many things in it. His first novel, Vespa, was published in 2007. Lombardo also works as a writer and editor in information technology. Previously, he served as an editor and reporter for several newspapers and magazines in New York and Connecticut. Besides writing and traveling, Lombardo enjoys hiking, and reading suspenseful novels and mainstream scientific journals such as Discover and National Geographic. He and his wife, Karen, have two children and a dog.